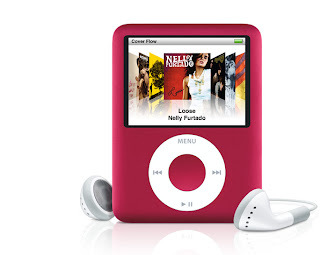 Apple just released the new Nano iPod thsi week which you can view videos as well at $149 for 4GB and $199 for 8GB. Now who on earth would want to watch video on such a small screen? It's very small and sleek when I went to the Apple store yesterday. It comes in a number of colors. Picture here Red is their special "RED" project.